So you have decided that you would like to organise a trip for your group. This helpful guide will assist you through the booking process with Grape Escapes. The group leader will be the main point of contact for Grape Escapes and for the other participants. If you are arranging the entire trip (booking travel, accommodation and devising the itinerary) yourselves, this can be a big responsibility. If you book your trip with Grape Escapes, then we will undertake many of these tasks for you, both before the trip and during your time away, leaving you free to enjoy the event. Prices can vary depending on the size of your group, therefore it is a good idea to work out a minimum and maximum number of participants prior to obtaining a quote. Grape Escapes can cater for groups of 2 to over 200 people! This will allow you to have a firm idea of how much the trip is going to cost. Larger groups can be more economical as fixed costs are shared out over a larger amount of people. In some cases, we can arrange for the group leader to travel free so please mention this to us when you request your initial quote. 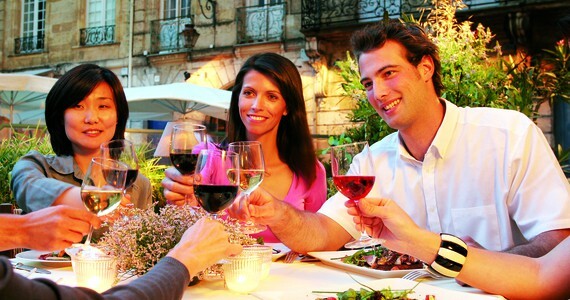 When considering what you would like to do on your trip, it is important to consider that some activities require a minimum number of participants, for example dining as the guests of a wine maker, whilst some activities will not possible for larger groups such as visiting some of the most prestigious chateaux. Different types of groups travel for different reasons, and it is important for us to understand what you are looking to do in general before exploring the finer details. Birthday parties and Hen and Stag groups travel to celebrate and these trips are all about having an enormous amount of fun. Centrally-located hotels are ideal for these groups, who will usually want to enjoy the city’s night life. Festive activities such as Sabrage and gala dinners are also popular with these groups. In comparison, gastronomy and wine clubs travel primarily to learn as much as possible during their trip and experience vineyards and wine-making up close. They will generally want to visit a larger number of estates and taste a wide range of wines. Master classes, cookery schools and horizontal tasting meals are ideal for these groups. members to explore the region in their own cars and also offers them the chance to take souvenir photos of their cars in front of some fabulous buildings and backdrops. 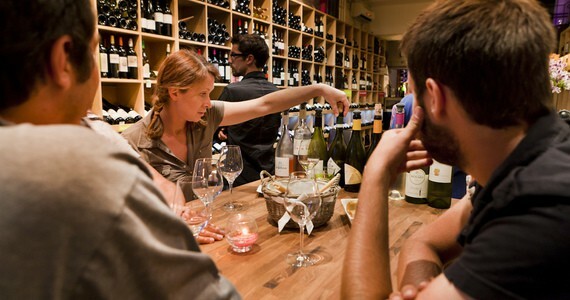 would like to learn more about wine and wine-making and some would simply like to enjoy tasting some great wines. We would be delighted to hear from you to discuss your group’s specific requirements. We can arrange group trips to many of Europe’s premium wine regions and further information about where we travel to can be found on this site. 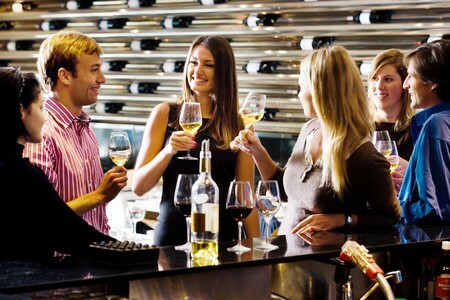 Knowing which wines your group members like to drink is very helpful in establishing which region you would like to visit. 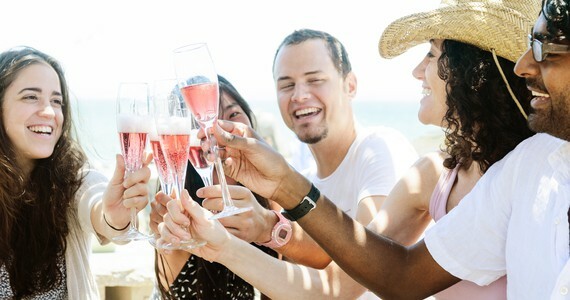 For example, 99% of the wine produced in Champagne is sparkling, therefore a group member who does not like bubbles may not wish to visit the Champagne region. Our trips can include non wine-related activities as well, therefore we can offer something for tee-totallers and pregnant women in addition to wine lovers as part of a tour party. Once you are sure of where you would like to go, the next step is deciding how you would like to travel there. Information on travelling to specific regions can be found on the regional pages of the site and you will find a practical summary table here. Most of our guests travel from the United Kingdom, therefore you will find a vast amount of information regarding travel from here specifically. However, we welcome groups from across the globe and would be happy to provide you with specific information about travelling to your preferred region from your particular country of residence. Although Grape Escapes do not sell flights as part of our packages, we can arrange private transfers or rail travel from your arrival airport as well as travel by ferry, Eurotunnel and Eurostar. Grape Escapes can arrange group trips for mid-week and weekend dates throughout the year and we will work entirely around your group’s preferences. At this stage, you may only be able to establish which month you would like to travel and whether you’d like to travel during the week or over a weekend. This will be enough information to provide you with an initial proposal. In the European wine world, April to June and September and October are the busiest months of the year and travel during these periods needs to be booked as far in advance as possible to avoid disappointment. For those who are looking for the best rates, travelling between November and April and during July and August tend to be the most economical however please note that August in particular can be challenging as many European wine-makers take their annual holiday at this time. This is probably the most important factor of your trip. Setting a budget is always difficult, however it is very important that we have an idea of how much your group would like to spend; We have created trips from £150 per person to over £2000 per person, therefore sending you an itinerary at £900 per person if you are looking at a budget of half this would be unhelpful and likewise, if we create a trip at a considerable amount less than your budget, this may not offer the overall polished trip that you would be expecting. It is advisable to set a guide price for the group and once you have a budget in mind, we will need to establish exactly what this budget includes (for example, travel to the region, accommodation and meals). Your group’s quote will consist of a combination of travel, accommodation, meals, tour transport and activities. Although we will be unable to provide you with a break down of individual costs, we can certainly advise you about the factors that affect the price of your trip. The group leader may wish to pay everyone’s deposit in one transaction, which is usually the simplest solution. Alternatively, group members can contact Grape Escapes individually to make their own deposit payments and the group leader will be provided with a statement detailing the party members who have paid. However, it remains the group leader’s responsibility that the members of their group have made the required payments. Payments can be made by cheque or debit / credit card or directly into the Grape Escapes account via bank transfer. Grape Escapes is a fully bonded tour operator and information about your financial protection can be found on the financial protection page of this site. Approximately two weeks after we have received all of the deposit payments, a booking confirmation will be issued to the group leader, detailing exactly what has been purchased. We will send the group leader a Grape Escapes travel pack three to four weeks before departure. The pack will contain any travel tickets, the group’s itinerary, vouchers for your hotel, tours and visits, a map of the region and a list of recommended restaurants. Also included will be menu choices if we are arranging any meals for you. Groups dining in France are often required to eat the same dish from a fixed menu for the table (not withstanding any specific dietary requirements) which will often be chosen by the group leader in advance. Our standard terms and conditions also apply for groups, and these can be found here.